Maybe I'm making a mountain out of a molehill. It turns out that having hot pink hair is awesome 364 days out of the year. On Halloween, I had a doctor's appointment, then went to the grocery store. In street clothes. I had three separate people asked what I was dressed as. I was wearing jeans and a t-shirt. No makeup. Nothing special. The first time, I was confused. "I'm dressing as a rock star later... Oooh. No, I always have pink hair." The third time, I was still polite, just annoyed. Next year, I leave the house in my costume. 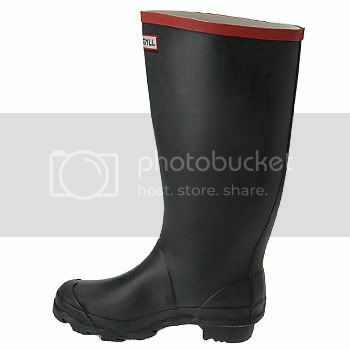 When I was pulling out of the parking lot, I saw a woman come out in a pair of galoshes (wellies?). 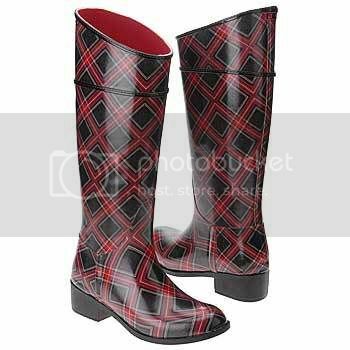 I've always wanted a pair of galoshes, but the thing that really got me excited was the pair of cabled socks she had decoratively flipped over the top of an otherwise boring pair of shiny black galoshes. You can understand how I am now on a mission to find the PERFECT pair of shiny black galoshes - and what are galoshes without a shiny rain slicker? 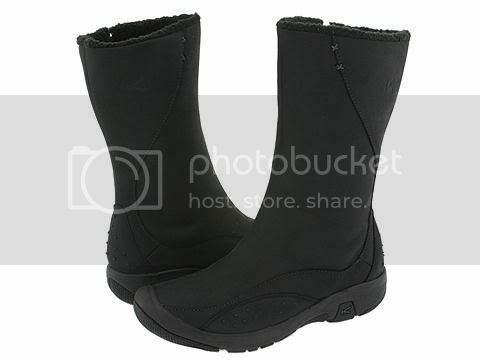 So, I've been hunting around on the internet for my "perfect" galoshes. As if I needed more shoes, right? Fabulous, right? So very pink! 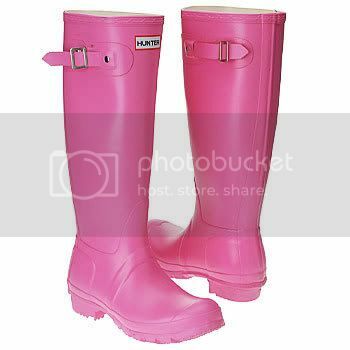 Alas, $103.50 seems a little high for a pair of Elle Woods-esque wellies. Right price ($51.99), and while the plaid is pleasant, it's not as versatile as I would like. Alas. Black, shiny(ish), but kind of ugly. And not that special brand of galosh-ugly I'm looking for. In short, I'll go try on the Keens (at R.E.I., my favorite place for practical footwear), and keep hunting for shiny, perfect galoshes. If you find them, tell us! I wanna pair. But I want shiny green. By any chance were these the ones you saw? They were on the Target website. The boots at Target that Jennifer linked are really cute....... At $29.99 they are a real bargain.